Inflatable powered rescue boats or IRBs are a vital part of Australian Surf Lifesaving and have come along way since the first powered operated craft was developed in Queensland in 1957. Our very own club has played a major role in IRB development as it today. In 1969 Warren Mitchell (Avalon SLSC) returned from a lifeguarding stint in England where he saw a 4.5mtr inflatable craft being used by British Sea Rescue Services. Warren approached the Dunlop Company and obtained a 4mtr boat, fitted with foot straps and with a 20hp motor. He developed skilled techniques unheard of in England, let alone Australia. Bob Millett (Ocean Grove SLSC) also toyed with this new concept experimenting with a 3mtr boat. Both Warren & Bob joined forces, seeing the potential of such a craft for lifesaving. Having witnessed this exciting new boat, Soldiers Beach members Bob Simms & John Warren pushed for the purchase of the first Club owned IRB in Australia in January 1971. Soldiers Beach SLSC took over the promotion of IRB’s from Mitchell in 1972 and redeveloping Mitchell’s techniques, revolutionized surf rescue procedures. 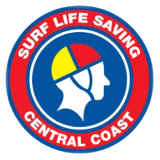 Club members John Fallon, Cliff Spong and Errol Parker were responsible for the promotion and development of the craft and its final acceptance as an efficient item of surf rescue equipment by SLSA. In 1974 the Australian Government gave a $60,000 grant to Surf Lifesaving Australia for the development & manufacture of inshore rescue boats. In September 1975 the first National Carnival was held at North Cronulla during which the 26 boats, donated by the Government, were officially handed over to SLSA. The inflatable rescue boat proved itself and went on to have the biggest impact on surf rescue techniques since the introduction of the Malibu board in the 1950s. John Fallon and Cliff Spong wanted to prove the durability of the IRB’s so in December 1974 the two set off from Milson’s Point in Sydney at 10am and spent 4 days traveling up the east coast of Australia arriving at Coolangatta at 2.30pm. Although the trip lasted 4 days, the actual driving time over the 750km distance was only 31 hours 38 mins with stops at Fingal Beach, South West Rocks and Evans Head before reaching the Queensland coast. Two years later Cliff teamed up with Kees Van Yperen and a 2 man crew from Woodside Beach SLSC to conquer Bass Strait in what would be the first ever crossing of the 160km distance in an IRB. The trip started at Port Albert near Wilson Promontory with over night stops at Flinders Island, Bicheno on the Tasmanian Coast then finishing at Clifton Beach Near Hobart just in time for the Australian Surf Lifesaving Championships. 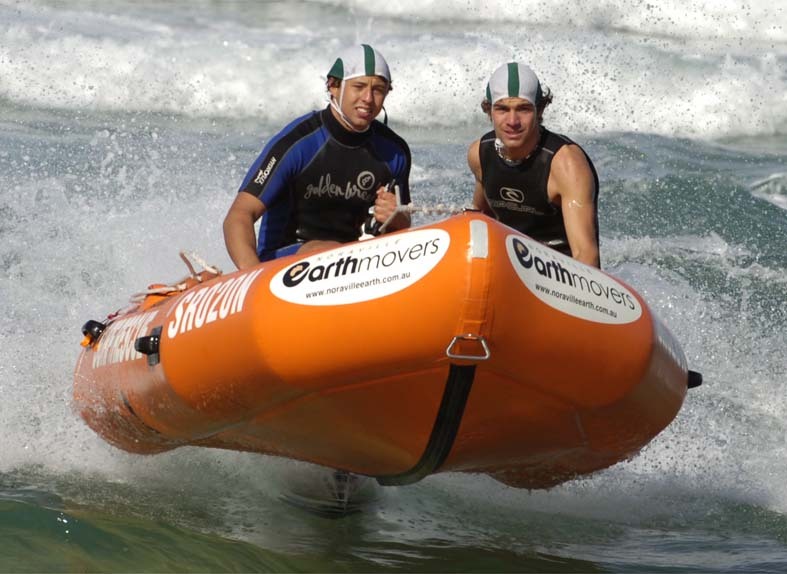 IRB racing has come along way since the sceptics doubted their worth with competition carnivals becoming fiercely contested during the off season of summer competition. WE ARE BORN WITH IT – IT’S IN OUR BLOOD, IT’S OUR HERITAGE. 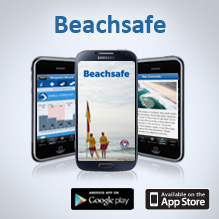 JOIN THE SOLDIERS BEACH IRB TEAM TODAY.